Until now, pool owners have had to choose between raising water temperatures via thermal covers manufactured in a transparent solar material, or reducing filtration and chemical costs via an opaque pool cover material. An upgrade of the EnergyGuard, to the new selective transmission GeoBubble material, has opened up the options and one pool cover can now achieve both sets of benefits, making it the most innovative thermal cover to date. Designed to inhibit light entry into the pool which makes it difficult for algae to survive, it reduces the amount of filtration required, reducing power consumption by up to 50%, as well as heating the water naturally. 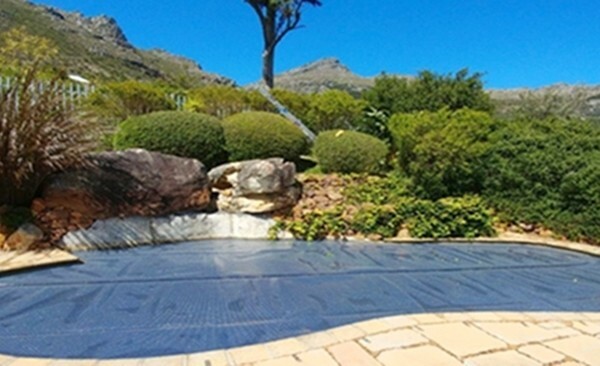 Given the ongoing power crisis in South Africa and the need to lessen the load on the national grid, this energy-saving pool cover is the cover of choice for local pool owners looking to save power and also save money by adopting an eco-smart product that enables a change in behaviour without affecting the day to day lifestyle. Reduce filtration/pump time by up to 50%: filtration is still required for aeration and eradicating minor impurities but with the EnergyGuard, pump time can be halved which makes for considerable power savings. In an average domestic pool, the pool pump consumes 12% of the household’s electricity. EnergyGuard reduces this by 50%. 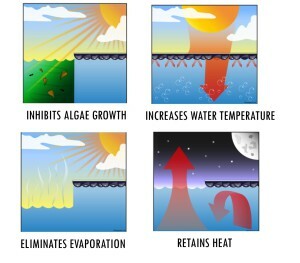 Warmer water and improved heat retention: the EnergyGuard cover absorbs the sun's heat and transfers it to the water, generating free energy and raising temperatures by up to 7º C. Because the water is not exposed to cool air, energy is no longer lost in the evaporation process – one of the main causes of heat loss. On heated pools, EnergyGuard allows for lower settings on heat pumps and solar heating becomes considerably more effective. The swimming season can be extended by 6 to 8 weeks accordingly. Reduce water evaporation by 98%+: the cover lies directly on the water therefore evaporation is reduced, curbing water loss and conserving this natural resource. In local conditions, an average pool (8m x 4m) can lose up to 38 400 litres of water annually, if left uncovered. Reduce chemical consumption by up to 60%: with less algae growth, less chlorine is needed with an EnergyGuard. 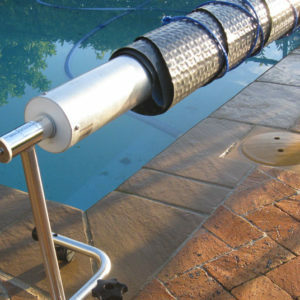 The cover also prevents chlorine from evaporating into the atmosphere when exposed to sunlight, making the chlorine in the water work more effectively. Reduce debris contamination: the EnergyGuard prevents dirt and leaves collecting in the water which greatly improves water aesthetics and hygiene. Save money: in an average household, 12% of the electricity bill can be attributed to the pool pump. By using less energy, less chemicals and less water, this cover has a payback period of approximately 18 months. The Dove Grey surface colour of the EnergyGuard selective transmission material absorbs the wavelengths that ordinarily promote algae’s photosynthesis, instead, converting these wavelengths into heat through conduction. The cover also directly transmits other wavelengths into the pool water where they heat the water directly. 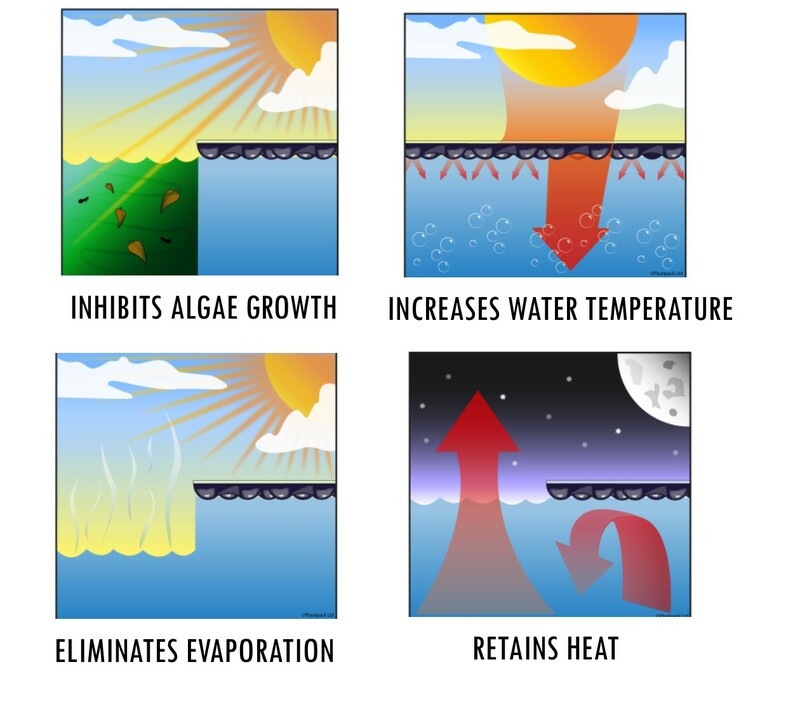 This means that all available wavelengths of solar energy are efficiently harnessed and utilised to heat the pool while keeping the pool algae free at the same time. Made from durable 500 micron GeoBubble material. The improved GeoBubble shape is scientifically designed to prevent the premature degradation around bubble corners, increasing longevity by 25%, resulting in a sustainable, 100% recyclable, energy-saving and cost-efficient product. The non-toxic additives used combine chemical and weather resistant pigments with high performance light, weather and chemical stabilization. 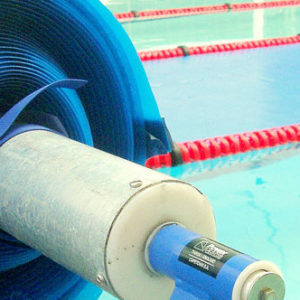 Suited to indoor and outdoor pools. The EnergyGuard has a Dove Grey surface colour. The EnergyGuard is expected to last 6 years and carries a reducing warranty of 3 years. Please refer to our ‘How to care for your cover’ brochure to ensure this lifespan. Please note that when ordering a Rollup Station with a thermal cover, delivery and fitment by ourselves is mandatory. If you order a thermal cover only, then you are welcome to fit it yourself. If you have selected a delivery only service with fitment done by yourself and your measurements prove to be incorrect, PowerPlastics Pool Covers can’t be held responsible for producing an incorrectly sized cover. It is not easy to fix this once the cover is manufactured so further costs will be incurred. If you are not 100% sure of your measurements, rather chose a delivery and fit option as then we do the measurements and it will fit perfectly.